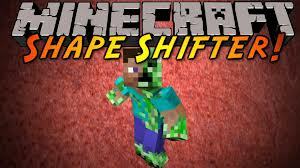 Shape Shifter Z Mod is a Mod that allows you to change into a Mob. There are 25 Mobs to choose. This Mod requires Forge.